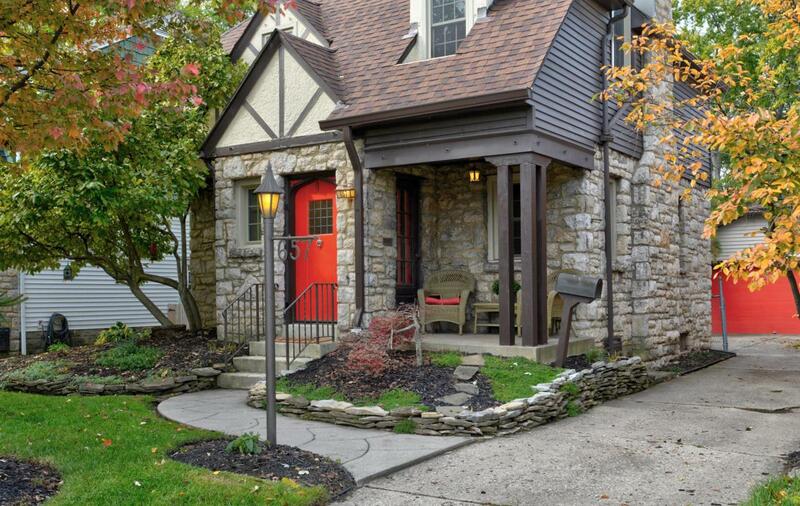 Charming, beautifully landscaped three-bedroom Tudor with original hardwood throughout, open living-dining, eat-in kitchen, updated bathroom (2015), working gas-log fireplace, and all new windows (2016). The fully-fenced back yard has a detached two-car garage with new siding and garage door in 2016. The basement has been professionally waterproofed (2016), a second bathroom roughed-in, and can be finished. Listing provided courtesy of Alicia Szempruch of Core Ohio, Inc.